Cricket differs from the winter sports in that it’s non-contact and, therefore, the injuries sustained through the game usually aren’t related to collisions. Instead, injuries are generally the result of chronic overload or an acute increase in activity – or, put simply, they are overuse injuries. This is particularly problematic at a professional level, where players are required to participate in grueling match schedules. The relatively recent introduction of T20 cricket has meant that the workload endured by cricketers is only growing, and, as a result, injury rates are also rising. While all players participate in the same game, physical requirements vary quite substantially depending on a cricketer’s role in the team. Unsurprisingly, this also means that the chances of sustaining an injury fluctuate according to a player’s position. Research shows that 20.6% of fast bowlers, 7.4% of batsmen, 6.7% of spinners, and 4.7% of wicketkeepers will sustain an injury (Orchard et al, 2016). It’s not difficult to understand why these differences exist. It’s also worth considering, for example, the huge discrepancy in fielding workload between a slip fielder and a player defending a boundary. 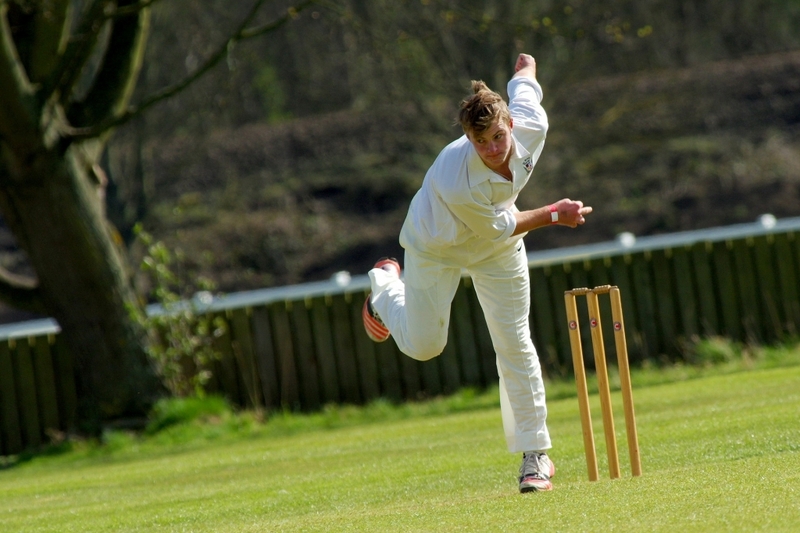 So, let’s take a look at some of the most common injuries sustained whilst playing cricket. Hamstring strains in cricket seem to be related to sprinting intensity and volume. Being a fast bowler is a risk factor due to the pace and the frequency of running in to bowl. Playing in Australia is considered a risk factor due to the size of our cricket grounds. Many of our grounds are larger than normal, as they share the same field as AFL. This leads to an increase in the volume of sprinting, as fewer boundaries are scored. Playing in the shorter forms of the game has seen an increase in hamstring strains, possibly due to an increase in the intensity of sprinting, particularly for batsmen and fielders due to only have a limited number of overs to score as many runs possible (Orchard et al, 2017). Management of hamstring strains is largely focused on progressive strengthening through exercise. Manual therapies, such as soft tissue massage and dry needling, can be effective for pain management and scar tissue breakdown. Taping is also often used as an adjunct to unload the hamstring. However, first and foremost, strengthening is key in the management and prevention of hamstring strains. Lumbar stress fractures are predominantly seen in fast bowlers. Dennis Lillee famously suffered with stress fractures and, in more recent times, Australian quicks James Pattinson, Josh Hazelwood, Pat Cummins have all battled with the injury. Indeed, despite rotation policies and advances in sports science, stress fractures continue to present as a major source of injury among the fast bowler’s fraternity. 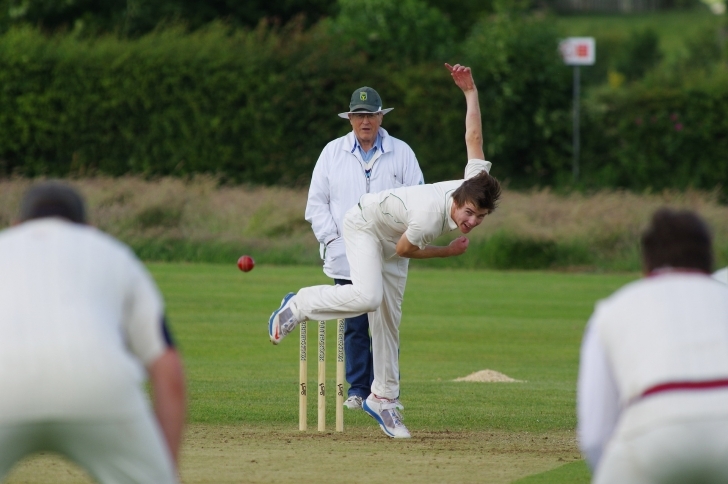 Fast bowling puts huge forces through the lower back and the unavoidable repetition means that stress fractures will continue to remain a challenge for physiotherapists and sports scientists to manage. Bowling technique is an especially important consideration. Excessive sideways trunk flexion, excessive shoulder rotation, and greater pelvic rotation at ball release are all risk factors for developing a lumbar stress fracture as a fast bowler. Other predictors include a decrease in recovery time between bowling sessions, early bone stress reaction on MRI, reduced hamstring flexibility, and decreased trunk extensor endurance (Forrest et al, 2017). Management of lumbar stress fractures focuses on load management and addressing deficits in the kinetic chain listed above. Individuals should allow for appropriate recovery between bowling sessions and if there is a bone stress reaction on MRI, should immediately rest from bowling and seek expert advice. Addressing any biomechanical deficits is not only important in the treatment of lumbar stress fractures, it is equally important in their prevention. A physiotherapist will be able to identify any imbalances or technique issues in their thorough assessment. An exercise program tailored to the individual will usually be implemented to address any identified deficits. Not only will this aid recovery from the injury, it should also help improve bowling performance. An ankle sprain is an injury to the ankle where the ligaments are over-stretched and, in more severe cases, torn. Ligaments connect bones to other bones and are important structures in maintaining the stability of joints. The ankle has a ligament complex on the inside and outside of the ankle, as well as a ligament that connects the two shin bones at the front of the ankle. The most common ligament injury is to a ligament on the outside of the ankle called the anterior talofibular ligament, or ATFL. In cricket, in it common to roll the ankle by accidentally stepping on the ball or simply by misplacing a foot when running. The management of ankle sprains is dependent on the severity of the injury but initially the RICER (Rest, Ice, Compression, Elevation, and Referral) principle should be employed. A thorough assessment is initially important to rule out any potentially more serious injury, such as a fracture. Physiotherapists are skilled in doing this and will be able to provide you with an x-ray referral if required. Depending on severity, your physiotherapist may decide to provide you with taping/strapping, a CAM boot, or crutches to assist in the protection of the ligaments to allow for appropriate healing. Your physiotherapist will then guide you in progressive weight bearing and exercises to promote healing and strengthening of the ligaments. Soft tissue therapy, joint mobilisation, and dry needling can also be used as pain management strategies to allow for quicker recovery. Shoulder injuries account for approximately 5% of injuries sustained in cricket (Arora et al, 2015). Overhead athletic activity is often associated with shoulder injuries and in cricket these activities occur in bowling and fielding (throwing). During overhead activity, such as throwing, the shoulder’s role is to transfer load from the lower limbs and trunk to the arm to generate force. The rotator cuff muscles provide dynamic stability of the shoulder during this task and, in cricket, injuries to the tendons of the rotator cuff are particularly prevalent. Risk factors associated with shoulder injury in cricket include high training loads, altered scapula (shoulder blade) mechanics, sub-optimal muscle recruitment patterns, and deficits in range of motion. Prevention and treatment of shoulder injuries in cricket largely focuses on load management and addressing any identified biomechanical problems. During a cricket assessment, your physiotherapist will look for deficits along the entire kinetic chain, from you lower limbs, up to your trunk, and then onto your shoulder and arm. A tailored exercise program can then be implemented by your physiotherapist to address any observed issues. This will help to prevent recurrence of any shoulder injuries, as well as improving overall performance. Your physiotherapist will also be able to guide you in terms of appropriate loading and rest following a shoulder injury. Seeking treatment early usually results in superior outcomes following a sporting injury and the last thing any player wants is to end up with a chronic condition. Physiotherapy is an essential factor in achieving optimal recovery, so seek expert advice. If you have a cricket complaint or wished to be assessed to prevent injury and improve performance, book in with of our clinicians at Peak Physio in Newcastle today.